This ‘Mississippi’ or That One? My new roommate, Bethany, moved in this week. She is fresh off spending a year bartending across New Zealand, and a Kiwi inflection still invades her native Mississippi drawl on certain words like "beer" and "cups." She works at a custom printing shop in Jackson, contributes generously to our household's upkeep and, at 28, is far too old to not be married. Like, will she ever get married? When will there be grandchildren? Is it because she is not going to church enough? At least that's what her mother wonders. This confuses me. Bethany seems too young to be destined for lifelong spinsterhood. My sister in Manhattan is 29 and still single. I don't fret over her marital prospects. And she owns multiple cats. Bethany owns zero cats. She'll be fine. She'll find a spouse and live happily. Or she won't, and she'll still live happily. Either way, what's her churchgoing have to do with it? I expressed my bafflement to Bethany, and she calmly shook her head and explained, "This is Mississippi." "This is Mississippi." I've heard these three words many times since moving here 14 months ago from a campus in upstate New York. I heard it more than usual this past week, while working as an editorial intern with the Jackson Free Press. Why does the old public-school textbook have a Confederate flag as its cover? "This is Mississippi." Why are people hesitant to be interviewed for an article on an AIDS hospice? "This is Mississippi." Why are undocumented workers from Latin America getting arrested for working Mississippi farms, while the farm owners often walk away scot-free? "Esto es Mississippi." The phrase's meaning is inferred from the state's heavy racial history and conservative present. Why can't the norm change? If everyone bemoans the current ways of Mississippi, shouldn't the current ways no longer be current? Then I remember the bars-and-stars textbook by John K. Bettersworth and the white Grenada pizza cook who kindly advised my white friends and me to "stay away from the ebony beach" last July 4. I realize that the people I interact with most, the ones who shake their heads when saying the three-word phrase, aren't representative of Mississippi's majority. The young, idealistic teachers I hang out with on weekends aren't representative. Neither are the black JPS students and teachers I go to work with every day. Nor are the fairly young, progressive journalists at the JFP. I should've known a group with this much knowledge about The Avengers universe couldn't stand for the state's majority. Bethany tells me how a healthy portion of her University of Mississippi graduating class marries upon graduation, moves to the suburbs, has children and sends them to private school. They live like their parents did, so it's no mystery when their world views align with the previous generation's. On the surface, it's not evil to believe what your parents believe. Yet the wickedness comes into play when you learn that previous generations were influenced by the Bettersworth textbook, which mixes omissions, selective examples and bias phrasing into a concoction of historical distortion. That history book, which educated so many Mississippians, dedicated more ink to the protections enslaved people received than the institution (and horrors) of slavery itself. Systemic inequalities go unchanged when generations think too much alike. That's why the rankings don't shift. Education, health, you name it. People will shrug and say, "This is Mississippi," expecting it to be the last in everything good and first at all things bad. However, there is a second group of peers Bethany talks about. These are young people who, like herself, put off the traditional life trajectory of past generations. They use their post-college years to travel and live in more densely populated cities. Their environments promote interactions with a more diverse community. These people make me optimistic for Mississippi not always being "Mississippi." For those who describe their upbringing as "sheltered," hearing varying perspectives can be transformative to their social, economic and political views. 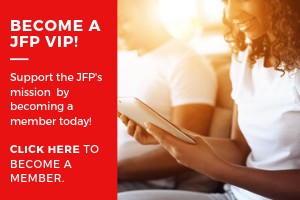 To me, the JFP's most important role is to tell the stories that shift minds, and that one day might shift the paradigm of the state. Then, more people can say the three-word phrase, not with defeat, but with pride. Freelance writer Brian Gordon was raised in upstate New York and moved to the South to carpetbag but forgot the bag. He teaches social studies in Jackson Public Schools.